I do enjoy a Monday morning animal-based Cute or Creepy? post. Remember Crafting with Cat Hair? That set me up for the week, that did. And here we are again, wiping the sleep from our eyes and pouring hot, black coffee down our throats. 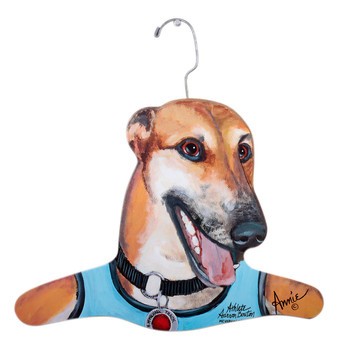 Instead of sobbing into an Excel spreadsheet, consider today's burning issue: are these animal hangers by Stupell Industries cute or creepy? In the words of Mrs Merton, let's have a heated debate! (Actually, could we make it quite gentle? It's still quite early. Ta.) First up, this Teacher Lab hanger. According to his badge, his name is P. Millheim. I love him. 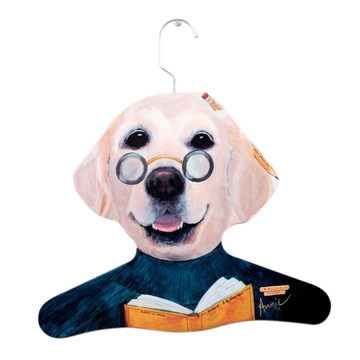 School would have been roughly six million times better if I'd had a Golden Labrador as a teacher. Stupell Industries have reissued these wooden hangers after a 20-year hiatus. Painted by Annie Rehder Schultz, you can sometimes find the originals on eBay... but now, luckily for us, the whole range has turned up on Fab, including this dapper little pilot cat. Meet Aarron Bouton, greyhound athlete. You might have seen him in action during London 2012. 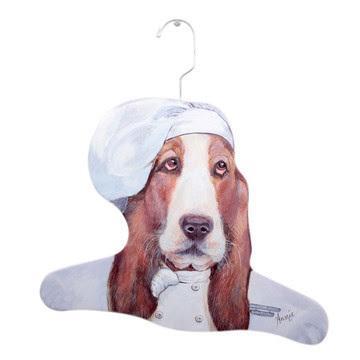 Yes, it's a Basset Hound chef. We need more dogs cooking on telly. The Great British Bark Off, for example. I'd watch. So, what do you reckon? 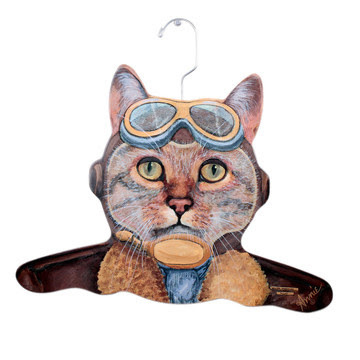 I'm definitely cheering for Team Cute - I think these are brilliant (in fact, I already own this grey cat hanger). 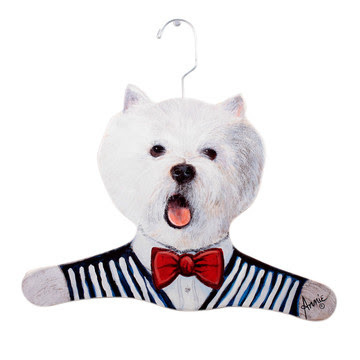 I concede that this Westie is a bit creepy, though. He looks like he's coughing all over us. Cover your mouth, Mister. Stupell Industries' animal hangers are £18.50 for a set of two from Fab (reduced from £21), and you've only got three days before the sale ends, so run along now. All amazing, except for the consumptive Westie. 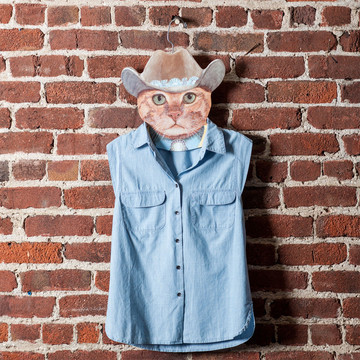 I especially love Brokeback Cat. My boyfriend votes for these being very creepy. I, on the other hand, love them and will be adding some of these to the wardrobe when he`s not looking.... Pilot cat is definitely my fave! I have one of these! It's been in the spare closet at my parents house for a million years. I have to say that while animals are undoubtedly cute, not being ready for their staring eyes in the back of your spare room closet is very creepy indeed.